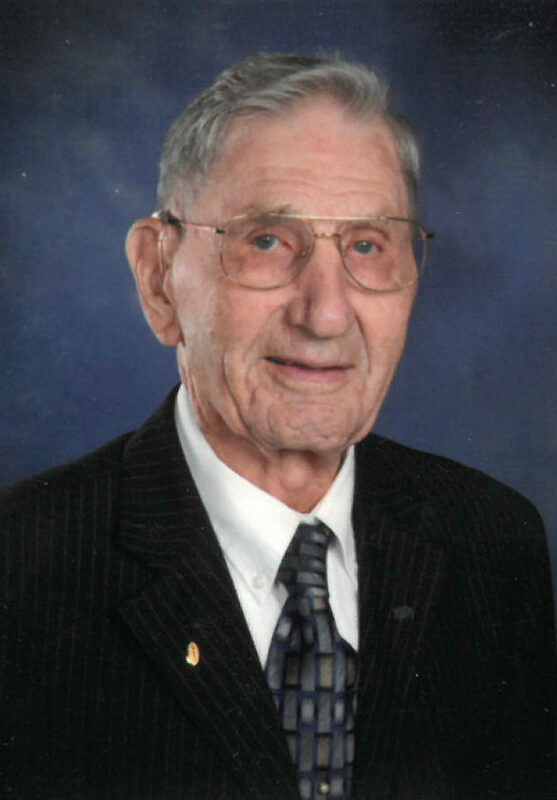 MORGAN — Armon A. Moll, 105, of Morgan passed away Wednesday, July 11, 2018 at the Sleepy Eye Hospital. Funeral service will be 10:00 a.m. Saturday, July 14, 2018 at the Oakwood United Methodist Church with Pastor Jason Mehring officiating. Burial will follow in the New Ulm City Cemetery in New Ulm. Visitation will be 5:00 – 7:00 p.m. on Friday, July 13, 2018 at the Minnesota Valley Funeral Home – NORTH chapel and will continue one hour prior to the time of the service at church on Saturday. Armon is survived by five children and their spouses, Darlene (Fred) Reiner of Princeville, Illinois, Beverly (Roger) Parks of Clitherall, Sharon (Lyle) Bracken of Linwood, Kansas, Debra (John) Russell of Medford, Oregon, and Mark (Dawn) Moll of Bagley; 12 grandchildren; 20 great-grandchildren and many nieces and nephews. He was preceded in death by his wife, Ruth; his parents; siblings; Hugo, Edgar, Earl, Harold, baby boy, infant sisters Caroline and Verda and one granddaughter, Cora Russell. Armon Arthur Moll was born on November 12, 1912 in Milford Township, Brown County, to Ira and Minna (Vogel) Moll. On November 21, 1936 Armon married Ruth Geske on the Geske family farm. Into their life together came 5 children, Darlene, Beverly, Sharon, Debra and Mark. Armon was self-employed doing township road maintenance in winter and summer for 42 years. He was a very active member with the Oakwood United Methodist Church. He enjoyed traveling and loved spending time with his family. In lieu of flowers, memorials are preferred to the Oakwood Church Camp Scholarship Fund.